I won the four polishes from the Color Riche Neon Pop collection via a competition on ASOS's instagram. I wanted to do something quick and easy on my nails whilst trying out some of my new colours. 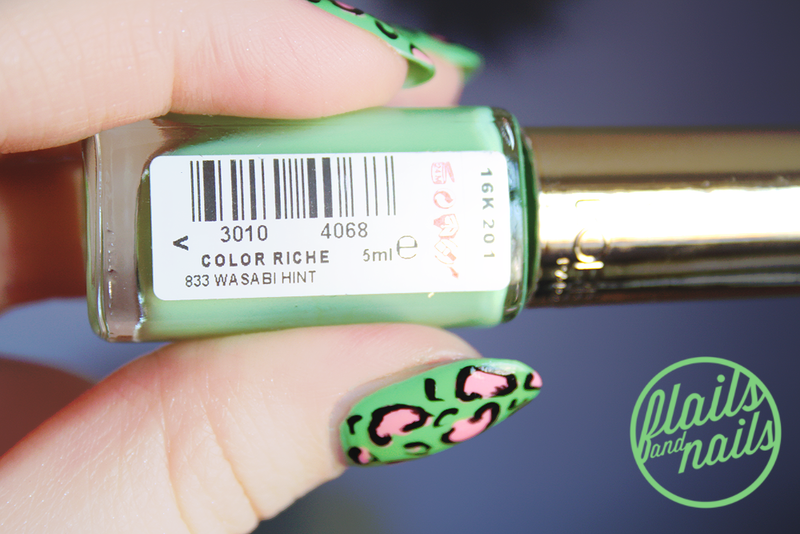 I went with Wasabi Hint as my base colour because I do quite like green nail polishes, which seems a bit strange because I always see people writing that they can never find a nice looking green nail polish (they are obviously looking in the wrong places!). This isn't a straight up neon but rather it bridges the gap between a pastel green, like a pistachio colour, and a straight up acid green. It applies well and with L'Oreal's wide brush, application is a dream. I've never really looked at the Color Riche polishes before because the bottles are so small and in my experience, small bottles are impossible to get more than three manicures out of since the brushes just don't reach the polish but with the design of this bottle and it's brush, I don't think it will be a problem. 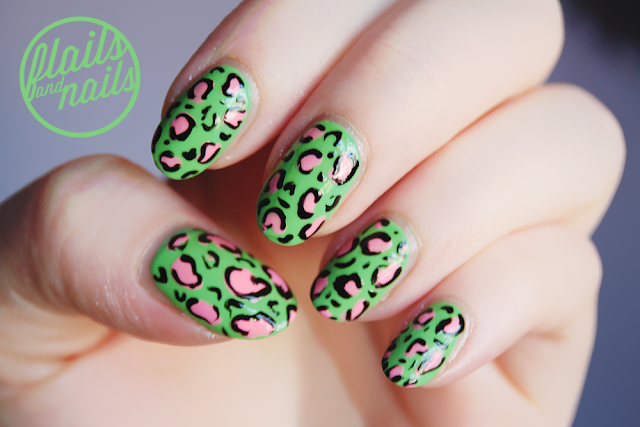 I used Acid Watermelon for my leopard spots and it just POPS on top of the green. I tried a gradient first but it didn't look that nice so I went for leopard print. Usually, I would use a nail art pen for the leopard print but for some reason, the polish wasn't coming out of my Models Own pens (I dipped them in nail polish remover and still no luck) and I left my Barry M pens upstairs so I hand painted the outlines with a brush I've trimmed down to about three bristles. It isn't the best brush and I could have done with longer bristles for such detailing but it did the job. I'd definitely recommend this colour to anyone looking for pop of colour and I cannot praise the wide brush of these polishes enough! P.S: Sorry for the kind-of out of focus pictures, don't know what was going on with my camera but you get the idea! This is gorgeous. 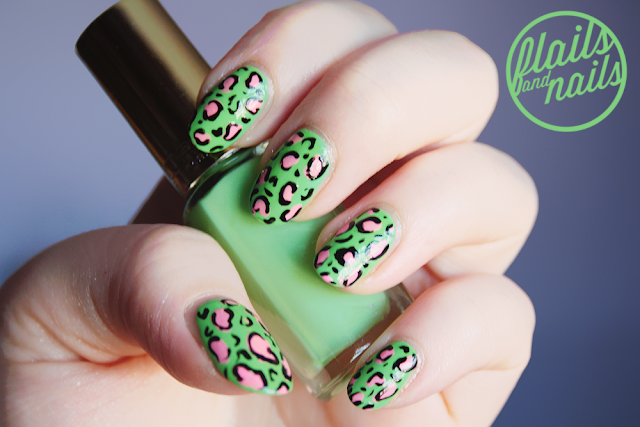 Pink and green always look stunning for leopard. This leopard looks unique compared to others I have seen. I think its the black swirly shapes put round the pink.